Today we are celebrating Eid-ul-fitr in UK and most parts of world. Eid marks the end of holy month of Ramadan. 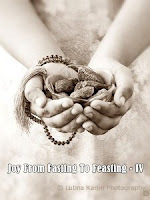 Though the celebrations for Eid start way too early with the start of Ramadan but it takes full swing near end and Chaand raat (the night before Eid) festive mood can be seen with girls putting on Henna on their hands,preparations for the Eid delicacies like sheer khurma, last minute shopping etc. 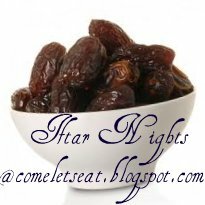 The day of eid starts with special eid prayers, and it is a "sunnah" (the way our Holy prophet P.B.U.H used to do it) to consume dates before going for prayers. Eid is also called by many as MEETHI EID (SWEET EID) as it is associated with consumption of sweets. Muslims of different parts of world have their own traditions and customs as far as cooking is concerned. In Pakistan, Sewiyan (Vermicelli) and Sheer khurma are those sweet dishes which are associated with Eid and are being served to guests. I also prepared this yum delicacy at home. It is quite easy to make, takes no time to prepare. 1. Take out vermicelli in a plate and break the large strands into smaller ones. 2. Now take a pan/pot, add ghee, add green cardamom and cloves. 3. Fry for a minute, add vermicelli, keep stirring, fry till it turns golden, take care flame is not too high otherwise vermicelli get burnt. 4. When it is fried, add warmwater and sugar, keep stirring, till it gets dried. 5. Sprinkle raisins or any nut of your choice, mix everything and serve. Though my husband does not cook often but when he cooks something (and that happens once a blue moon:)...)it not only tastes great but also gets done in no time. One thing which he always wants to make is fried rice(totally HIS version). This rice dish is also a life saver as it requires ingredients which are always present in most of household and can be prepared in a jiffy. It comes for our rescue when we come home hungry and there is nothing to eat or when I am too tired or not-in-mood of cooking (it happens rare, once or may be twice a year). Yesterday it came to the rescue once again when I did not want to cook any non-veg and he did not want to have any veg so he was all set to make his favourite dish. It can be made with the left over rice. Here goes the fried rice which can be relished with raita cooler(made by me ofcourse..). 2. ADD CLOVES, ONION, FINELY CHOPPED GREEN CHILLI AND ONION. 3. COOK TILL ONION GETS SOFT THEN ADD ALL SPICES AND FRY TILL ONION GETS GOLDEN. 4. NOW ADD BOILED RICE AND SALT, ALSO SPRINKLE BIRYANI MASALA, MIX EVERYTHING. 5. AFTER A COUPLE OF MINUTES SPRINKLE CAJUN SPICE, SLITTED CHILLI AND SPRING ONION. 6. COVER AND LET RICE GETS ALL THE FLAVOURS FOR A MINUTE ON LOW FLAME. 7. SERVE HOT WITH RAITA COOLER. 1. WHISK YOGURT AND ADD ALL INGREDIENTS. 2. COOL AND SERVE WITH RICE. Every person finds satisfaction, happiness in one thing or the other. As eating is pleasure for many people, for a foodie, a housewife, a loving mother and a wife cooking gives as much happiness and pleasure. It is always said that if one cooks anything with love then no doubt that the dish turns out tasty and delicious. Yakhni pulao is one such dish which is not only easy to make but also free of red chilli too. My mom usually makes it with mutton, even people use chicken but as we donot get mutton easily in Scotland so I tried making yakhni pulao with lamb. Here goes my version of this pulao which can be served at any occassion, this time I made it at iftar dinner. It can be served as it is with raita and salad of your choice, also goes well with any curry. 1. WASH LAMB, FOR ODOUR REMOVAL KEEP IT SOAKED IN MILK OVERNIGHT. 2. WASH AGAIN NEXT DAY, PUT IT IN A POT/VESSEL, ALSO ADD CINNAMON, GREEN CARDAMOM, BLACK PEPPERCORN, BAY LEAVES, SALT, WATER AND TIED MUSLIN CLOTH WITH SPICES (AS SHOWN IN PIC). 3. PRESSURE COOK OR COOK ON SLOW FLAME TILL LAMB GETS COOKED. 4. STRAIN THE STOCK AND KEEP IT ASIDE. 5. MEANWHILE FRY 2 FINELY SLICED ONIONS AND PUT ASIDE. 6. TAKE 2 TBSP OIL, PUT FRIED ONION, COOKED LAMD, YOGURT AND GREEN CHILLI. FRY FOR A FEW MINUTES. 7. THEN ADD PRE-SOAKED RICE, SALT AND ENOUGH STOCK, BRING TO A BOIL, COVER AND COOK TILL WATER IS DRIED AND PULAO IS READY. 8. SERVE HOT, SPRINKLE FRIED ONIONS BEFORE SERVING. I always make roll/samosa before or within first few days of Ramadan. It makes life easier and before frying just thaw the required number of rolls and deep fry. Iftar nights by Jabeen, Joy from fasting to feasting-season iv by Lubna, Serve it series by Krithi's kitchen and Denny, Moonsoon medley hosted by Saffron streaks. 1.CUT AND CHOP ALL THE VEGETABLES AND BOIL 1 CHICKEN BREAST AND SHRED. 2.TAKE A BIG POT/WOK/KADAHI AND ADD 1-2 TBSP OIL, ADD FINELY CHOPPED GREEN CHILLI AND STIR FRY ALL VEGETABLES AND CHICKEN TILL THEY SOFTEN, DONOT OVERCOOK. 3.ADD SALT, BLACK PEPPER AND SOYA SAUCE (TAKING CARE AS SOYA SAUCE ALSO CONTAINS SALT). MIX AND TOSS EVERYTHING. 4. ADJUST THE SEASONING AND KEEP ASIDE. 5.THAW THE ROLL PASTRY, THEN START PLACING A SPOONFUL OF FILLING AND ROLL IT, USE EGG WASH TO SEAL THE ROLL. 6.DEEP FRY AND SERVE WITH SAUCE OR DIP OF YOUR CHOICE. Although I started this blog of mine in 2009 and it was going at a good pace too but other important aspects of life took over and I had to eventually stop blogging. Now, it seems like everything is in place so I have decided to start blogging again and the holy month of Ramadan is the best time to get a fresh start. For Iftar (time to breakfast) few delicacies are a must have at Iftar table in every household in Pakistan. Channa chaat is one such item which one will surely find in everyone's Iftar menu. Here comes my version of this spicy, tangy snack which is going to be a part of Iftar party at Lubna's Yummy food for her Ramadan event and Iftar nights hosted by jabeen. 1. Wash and soak Chick peas in enough water overnight. 2. Next day pressure cook chicpeas/channa with salt and enough water. Alternatively boil in any pot till chickpeas soften. 3. Strain and take out in a bowl, combine all the above ingredients. 4. Let it sit for a while so that chickpeas/channa gets all the flavours of imli, lemon, chaat masala. 5.Enjoy having yummy chaat at home. Hungry?? got bored of having same old stuff, looking for some new ones......yes, we all are. Do try out the recipes here. Do you know you just made my day, do not forget to leave your lovely thoughts about this site and recipes. Wanna share my cooking skills!!! MISSION MADE POSSIBLE: COOKING VEGETARIAN FOR GUESTS!! !